As I was writing the Muscle Fiber post, I made another connection to some things I've been thinking about in the nutrition community. A prevailing theory in the community right now is that fat storage is a symptom of other problems, not the cause. That is, you become obese because of another issue, not the obesity, driving the disease. Taubes talks about it in the context of insulin dysregulation. That is, overweight folks don't have energy and don't move because the insulin dysregulation keeps the energy trapped in fat. His words are "you're lazy because you’re fat, not fat because you're lazy" - or something like that. Other theories are similar. A high-sugar western diet is so high in sugar and that sugar is so toxic in the blood that the act of getting it out of the blood and into fat is the safe way of storing it. So the adipose accumulation is the body's way of protecting itself against the sugar load. That makes sense too. Let's think about these in the context of muscle fiber recruitment. I pointed out in the last post that you start recruiting muscle fibers from the slow, mostly aerobic ones and keep adding faster, anaerobic ones until the force needed is achieved. If you're a heavy lifter, or do any high-power activity, you'll be recruiting more and more anaerobic fibers (in addition to the aerobic ones which are always there). That's good - the more things you train, the more things your body maintains for you. Conversely, if you're sedentary only walking slowly and sitting, you're never using anything but the most aerobic of the fibers. You have little need for power, so you're not burning much fuel. But also, if you're never showing an need for the anaerobic fibers, your body is going to start pruning them. I know I write a lot about how it's not good to be a sugar burner - but that’s mostly aimed at the CrossFit, HIIT folks who dig deep into glycolysis daily and for long periods. But if you burn sugar slowly (slow enough to clear the acid load), it's not that bad. In fact, if you prune your anaerobic fibers will you start to lose your ability to burn sugar? It seems reasonable - if the fibers that perform primarily glycolysis aren't there then your sugar consumption capacity will decrease. Leading to more sugar in the blood? Leading to more insulin to shove it into storage? So while you'll never burn enough energy in a workout to lose weight, maybe there's other metabolic benefits to maintaining those high power fibers. I'm starting to see how having them around can contribute to metabolic flexibility. 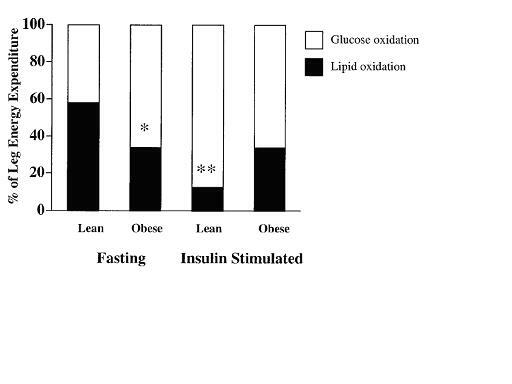 Metabolic flexibility is great, there seems to be evidence suggesting that "energy in the blood" is the bad thing. We know sugar is bad, so we try to burn it or store it, and when we can't do either and it overflows back into the blood bad things happen. It also seems that's the case with fat (check out some of Dave Feldmen's work). If you have high cholesterol because you're moving fat around (from storage to use, e.g.) that's totally fine. But if you have high cholesterol because there's no storage left and your body is just using your blood as the last-change storage, that's when trouble happens. Neat theory, some data seems to suggest that. Anyway, back to the main story: A+A will train all of your fibers and make you able to burn all kinds of fuel. That seems like a good idea.